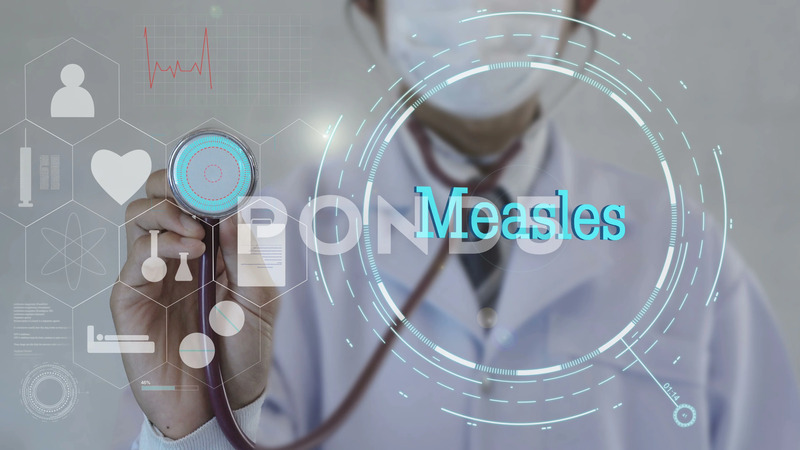 Measles.doctor Using Stethoscope On Medicine Background. Description: Doctor using stethoscope on medicine background. Futuristic technology. data hologram healthy concept.